New Jersey, the 4th smallest state by area but possibly the greatest for musical influence, has spawned some of the world’s most iconic performers – Frank Sinatra, Bruce Springsteen, Count Basie, Debby Harry, Job Bon Jovi, Dionne Warwick and Whitney Houston all hail from this, the US’s most densely populated province, but it is perhaps the bringing together of 4 guys, and its influence on their song writing, that has had the most impact on popular music as we know it today. The Four Seasons were, and to many still are, ground-breaking in their harmonies, melodies and simplistic yet undeniably catchy hooks but like many super groups, the story of how the group formed, grew and ultimately broke apart is as interesting as any pop chart records. This show, fresh from sell out runs at the West End, is a whistle-stop tour of the real lives of Frankie Valli and the seasons, told from their point of view and in a style that is instantly recognisable to their fans. This is a warts ‘n’ all recounting – their initial start in petty crime, links to the East Coast mob and Italian culture and how they initially struggled to get anyone to listen to their own songs is made all the more amazing set to a backdrop of hit song after hit song. Particularly interesting is how they came up with some of their most iconic classics – scribbled on the way to a meeting or just simply made up on the spot to fill a gap. 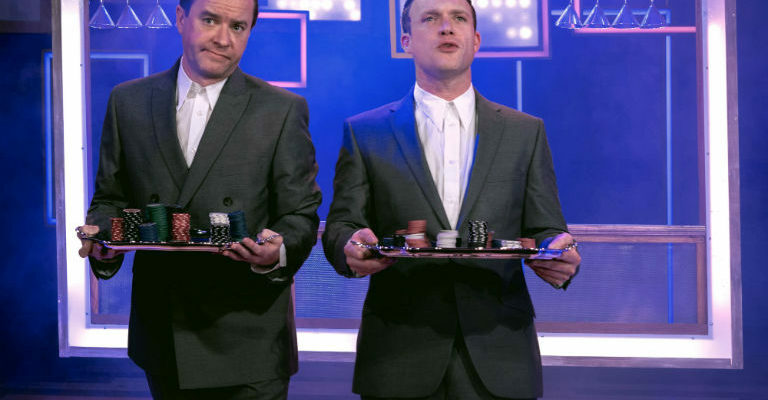 The pace of the show is relentless, it has to be if we are to be treated to the story of over 40 years at the top in just 2 and a bit hours, but not once does it feel rushed – it’s like getting on top of a tidal wave of musical brilliance and just riding it out. The Four Seasons are one of a very few groups whose ‘Best Of’ album could easily fill 3 discs – Rag Doll, Dawn, Cant Take my Eyes off you, Opus 17, Beggin, December 1963 (and it’s celebratory recanting of Bob Gaudio’s ‘1st time’), Walk Like a Man, Big Girls, My Eyes Adored you – the list goes on and on and on. Perhaps what is more telling about their catalogue (and Gaudio’s writing in particular) is that there are as many hits left out of the show as there are in it. The 4 leads are a perfect blend of musical brilliance combined with very strong character acting – each is given enough centre stage to ensure the audience can appreciate their part in the history of the group. 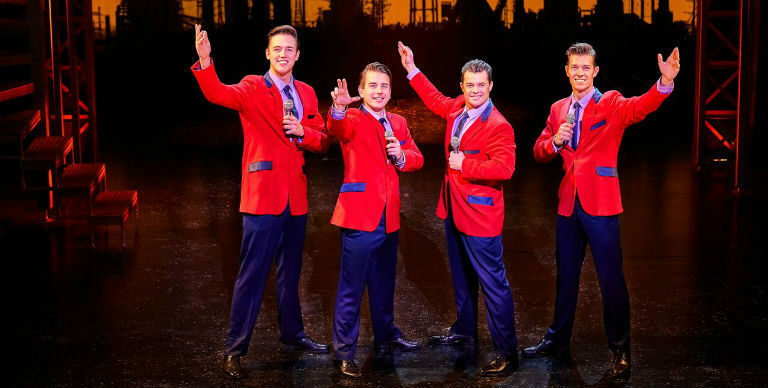 Of course, to many, it is the vocal range of Frankie Valli that makes the Four Seasons’ hits so special and in Dayle Hodge, there is no doubt that Valli’s prowess and legacy is front and centre. Dayle manages to retain an almost boyish charm, even through the sad scenes when Valli loose his marriage, his best friend and his daughter, and yet is still able to show the effects of the passage of time and the never-ending touring which meant Valli seldom had a day off. This is much more than a tribute act or a ‘story of the hits’ – Jersey Boys picks up the lives of 4 young men from an Italian blue collar suburb on the East Coast and lays bare all their hopes, dreams, excitement and disappointment for the audience to see. It leaves everyone with a sense of “wow, I didn’t realise ….” as you find out about Valli’s family values which almost bankrupted him, brings tears to the eyes when you find out the truth behind some of his most poignant hits but most of all it gives you some wonderful earworms for the drive home.